The first month of the year gives us time to ponder and reflect on the choices taken, credit decisions acted on and even options waited out. It gives us a chance to learn from mistakes made, apply best practices and even try something new for the year. The most important thing is to know which practices need to be avoided to prevent credit problems to pile up. With this, the practical first step is an audit – literally and figuratively. Taking a close look at the past year’s financial data is essential in determining credit health as the new year closes in. How much debt is still owed, how much has been paid over the year and even the interest rates. Something to ponder on as well is the attitude we developed towards debt. 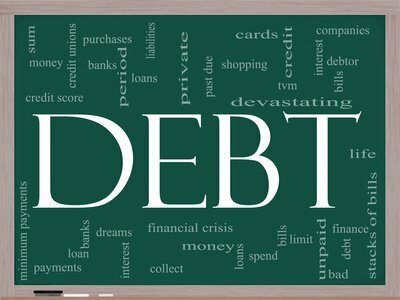 Do we regard it simply as a monthly payment needed to be made or a ball and chain that prevents us from living a debt-free life? Perhaps one of the more exciting developments for the coming year is the new mortgage law that will be taking effect. As a Reuters.com article explained, the new mortgage law calls for careful and thorough pre-assessment of loan applications. This is geared towards ensuring that the borrower has the ability to pay back the loan. If one of your intended credit decisions in 2014 is a home loan, you have to ensure that you can qualify for this. To be enforced by the Consumer Financial Protection Bureau, rolling this out at the start of the year is already in place with creditors. As with most new laws, discussions are still in the air about some areas that could be affected with the implementation – one of which are minority group borrowings. But the bureau is intent on upholding the ability-to-pay assessment without foregoing the rights covered by fair-lending law. As a consumer, this law is our shield against loans we feel we can repay but in actuality, we cannot. There maybe some financial areas we need to consider like getting rid of credit card debt or lowering some payables first before applying for a new loan. Whatever it is, the new mortgage law is our second set of eyes every time we apply for a loan. For the coming year, here are some tips in improving credit standing so you can make better credit decisions. An improved credit rating opens up financial options for you for your credit needs, offers better interest rates for taking out loans and even improves your chances of getting a loan even with the new mortgage loan. Pay off a credit card. One quick way to improve your score is to pay off a card or two. You can opt to pay off the one with the smallest balance, making it easier to pay it off. You can also plan to pay off that card that has been crippling you with a high interest rate. It will save you money down the line. Or better yet, look at your cards and pay off that one that is least used. You are better off focusing on cards that you use. Shop around for a card. Choosing your credit card is one of the first few credit card decisions that you have to make. The credit card industry is a competitive arena and this spells good news for those looking for new cards. The aggressive competition drives down rates and drives up perks that you can easily replace your existing cards with new ones. The idea is to study carefully that cards you are considering before jumping in to a new boat. Use priority cards periodically. There is always a card or two that is important to us. It may be the one we use for the business when taking out a loan is not an option, or that card we have accumulated a lot of points off from previous purchases. Whatever it is, use them from time to time to prevent dormant fees or closing the card entirely. Make on-time payment. Nothing beats paying on the dot except paying earlier than the due date and putting in more than the minimum amount. But nevertheless, remember never to forget paying on time. It prevents additional charges, fees and interests that comes bundled up with late payments. It puts a blemish on your credit standing as well reflecting your inability to pay on time. Be proactive. Monitoring your account is as much as your responsibility as it is your creditor. Especially with the recent security breach at Target. As they released in Target.com news, the PIN numbers were taken but in its encrypted state and the key is on a separate system. Even then, we need to closely monitor our accounts and make it a practice to study carefully the charges on our card. Know the loans you need. Never apply for a loan just because your feel like it. There always has to be a valid reason before affixing your signature above that dotted line. Think twice and smart on loan applications. Useless loans that build up your payment requirement over time has a negative effect on your credit score because you will surely struggle in meeting the payment every month. Build-up your emergency fund. Over time and due to the complexity of finances, there are different opinions on how many months your emergency fund needs to last. One thing is certain, you need to build the fund to support you through trying times. Unemployment can now reach and average of 9 months so it is practical to build up your fund for not less than 9 months. But do not stop at 9 months, continue at it as much as you can. Monitor your credit limit. As you use your card, credit card companies increase your credit limit as a way of thanking you for using the card. It is also given to those that pay their cards on time. With this, it is wise to know what your credit limit is to prevent from overcharging against your card. It is a good practice to keep charges well under your limit to have a manageable monthly payment amount. Being able to meet payments improves your credit standing. Saving up money is a great objective for the year but there are certain types of debt that, if used properly, can improve your way of life. By making the right credit decisions, you could keep yourself from turning a potentially good debt into a bad one. Student loans. Ken IIgunas is a Duke grad student who went to extreme measures in trying to eliminate his student loans as reported by Yahoo.com. This included living in a van and using his gym membership to take showers. But Ken is more of an exception rather than the rule. He saw student loans as an immediate debt he needed to repay in order to graduate debt free, and he did. But for most, student loans are inevitable as you pursue the formal education needed to reach your dreams. Business loans. This type of loan is acceptable because you are trying to start a business with the objective of making more money. With this, the loan is just a stepping stone in putting up that business which can improve the financial standing of you and your family. Mortgage loans. It is every American’s dream to own a home. And waiting for the time when you have enough to buy one just doesn’t work for everyone, especially for those earning minimum wage. Taking out a home loan is one way to get that dream house now and put focus on your monthly income. It forces you to mature enough financially and prioritize the house payments before all other unimportant expenses. As 2014 unfolds, there are steps that we can take to re-assess how we performed the past year and credit decisions we can make for this coming year to improve our way of life. With that objective, the positive effects ripple out not only to ourselves and our family but our community as well.